Krypton bulbs emit IR light at a wide variety of frequencies as opposed to IR LED's which emit IR light in a very narrow band. The Krypton bulbs can be better at throwing the light farther because of the internal parabolic reflector, but they use much more energy than the LED's. Battery life on the Krypton bulb IR lights is 3 or 4 hours compared to LED's lights which can last many times as long. We have had many customers request IR flashlights for use with common Night Vision devices which are only sensitive to about 880nm which includes the common military type NVG's. If you want to throw as bright an IR beam as possible and don't mind a full red glow from the flashlight, we recommend our XNiteFlash715. If you can't afford to have any light show, we recommend the XNiteFlash830 if you are using standard Night Vision equipment. 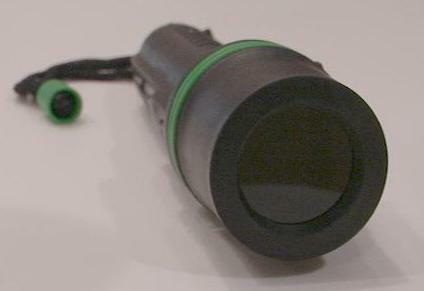 If you use a XNiteFlash1000 with standard night vision equipment, you will not see much light at all. You are best off using the lowest IR transmission frequency possible since the lower frequencies will transmit more light. The IR filter installed in the light absorbs light (visible and IR), and, hence, the higher the cutoff frequency, the less light emitted. These IR flashlights are great rugged tools. Flashlights are completely enclosed in rubber, shock resistant including the light switch. Only the cap can be unscrewed. 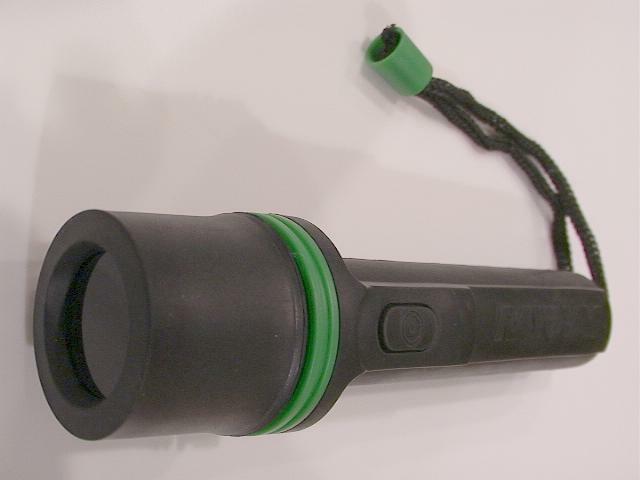 Flashlight includes a nylon cord wrist strap.